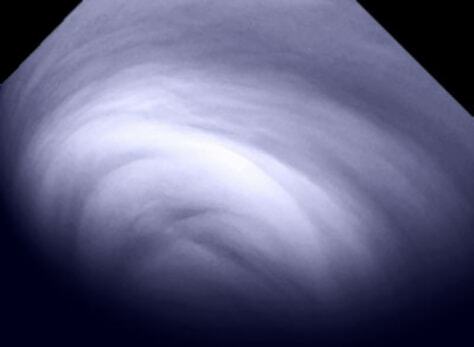 Are Venus' mystery clouds warning sign for Earth? This false-color ultraviolet image of the south pole of Venus was obtained by the Venus Monitoring Camera onboard The European Space Agency's Venus Express on Feb. 25, 2008 from a distance of about 12,400 miles. The octagonal shape of the image is due to the VMC field of view.